Whether you need a professional presenter for your company awards, an entrepreneurial guest speaker at your annual dinner or are a Church looking for a committed Christian to address your Ladies Circle, Rosemary Conley CBE is right for you! A Question of Brains 2014 : Photograph by ©Lionel Heap 07977 597674. 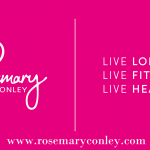 Rosemary has addressed committees in the House of Commons and House of Lords, and spoken at events organised by the National Obesity Forum, the Association for the Study of Obesity and for the Fitness Industry Association (FIA). Rosemary has presented over 400 cookery programmes on television as well as presenting her own TV series on both the BBC and ITV in addition to appearing on “This Morning” with Richard and Judy for seven years. In 2010 Rosemary presented two series of a primetime ITV 1 (central region) show “Slim to Win with Rosemary Conley”. Appearances on national radio and television include BBC 1’s “Diet Trials”, “Heaven and Earth”, “Noel Edmonds’ House Party”, “The Generation Game” and “This is Your Life”. For BBC 2 “Working Lunch”, “Ready Steady Cook”, “Collector’s Lot”, “Cash in the Celebrity Attic” and “Call My Bluff” and for BBC Radio 2 “The Jeremy Vine Show”, “Steve Wright in the Afternoon”, “Johnny Walker” and “Richard Allinson”. For Radio 4 “You and Yours” , “Woman’s Hour” and Libby Purves “Midweek Show”. ITV shows include “My House”, “Country File”, “Sunday Morning”, “The Alan Titchmarsh Show”, her own series in 2001“Eat Yourself Slim”, and ITV London’s “Year of the Volunteer”. For FIVE “The Wright Stuff” , “Doctor Doctor” and in 2006 was a commentator on Channel 4’s “Celebrity Fitness Videos”. Rosemary has also been seen on GMTV, ITN, BBC News 24, UK Living, Taste TV, Carlton Food Network and has also presented her own daily show on Granada Breeze.